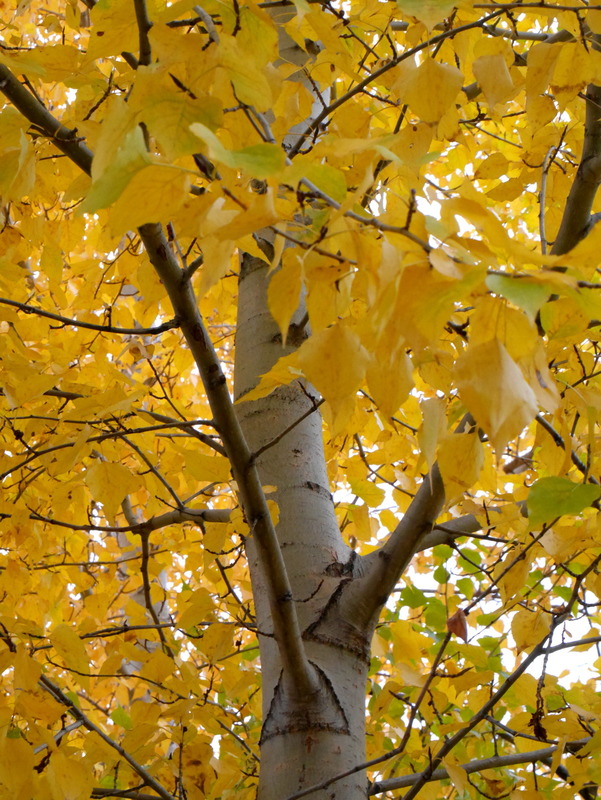 The brilliantly yellow trees lining our valley bottoms and riversides here in the Pacific Northwest are predominantly Black Cottonwoods (also known as Western Basalm Poplars). They are famous for their fluffy, cotton-coated seeds which fill our air and waterways throughout the early summer. These seedlings need moist, bare soil to germinate and will rapidly colonize riverbanks exposed by erosion. Seedlings become dominant, fully-grown trees after about 25 years making them ideal for cultivation both in farms for harvest and as ornamentals in neighborhoods. Unfortunately, they also rarely live more than 150 or 200 years, so many neighborhoods in our area (many of which were first constructed in the 1800s) are being forced to remove these dying giants.